When a band of runaway slaves brings Union-loyal Beth Bumgartner a wounded Confederate soldier named Joe, it is the catalyst that pushes her to defy her pacifist parents and become a nurse during the Battle of Antietam. Her mother's mysterious goodbye gift is filled with quilt blocks that bring comfort to Beth during the hard days and lonely nights, but as she sews each block, she realizes there is a hidden message of faith within the pattern that encourages and sustains her. Reunited with Joe, Beth learns his secret and puts the quilt's message to its greatest test---but can betrayal be forgiven? 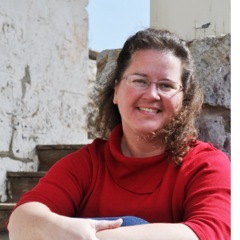 Dionne Moore is a historical romance author who resides in South Central PA with her family, surrounded by the beautiful Cumberland Valley and lots of fun, historically rich locations. She is a weekly contributor to "The Borrowed Book", a blog for book-lovers and "Cozy Mystery Magazine", for all things cozy mystery. This book grabbed my attention from page one and it hasn't let go yet. I loved the characters in this book, the attention to detail, and the historical accuracy. 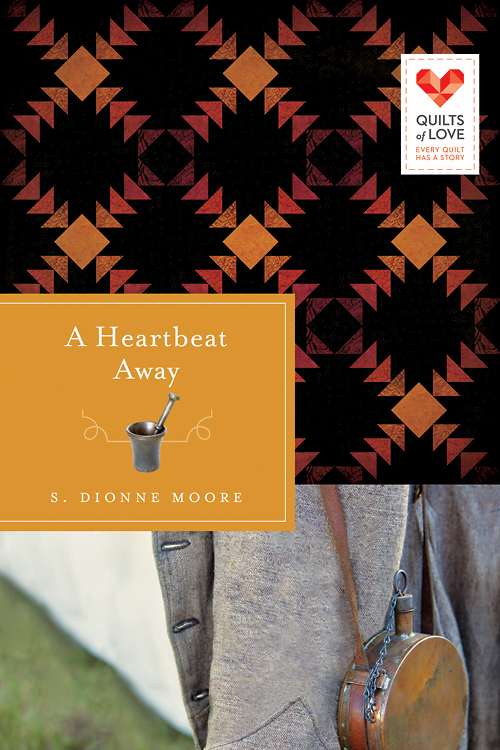 This book is set in the Civil War and it opens with Joe, a Confederate Soldier, badly wounded and being tended by Beth and her Grandmother, Gerta. The danger here is that Beth and Gerta are deep in the heart of the Union side, so they are taking a risk by tending to him. I could really relate to Beth, who lives daily with pain, and has a limp. I could really understand her struggles with self-image and trying so hard to do what she feels the Lord calling her to do, yet have difficulty because of the pain. We see her and Joe trying to connect despite the fact that she is a Northern sympathizer and he is a Confederate Soldier. It's really a beautiful love story of seeing two people put aside what they think about someone and really get to know the real person. As a quilter, I also loved "watching" Beth work on her quilt. I found this to be such a sweet part of the story, also. I really loved this book all the way around and highly recommend it!